While soaking up the sun and splashing into a pool is an enjoyable way for youth to spend summer vacation, volunteering is a rewarding experience that can easily fit in with other summer plans. 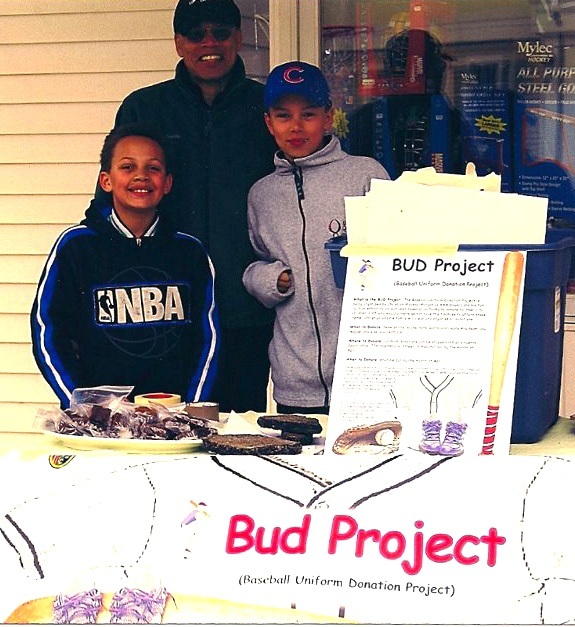 If you are involved with a community organization that requires you to complete a service project, need volunteer hours for high school graduation, or just have a passion for sharing your love of baseball, organizing a collection for Pitch In For Baseball is simple and enjoyable. 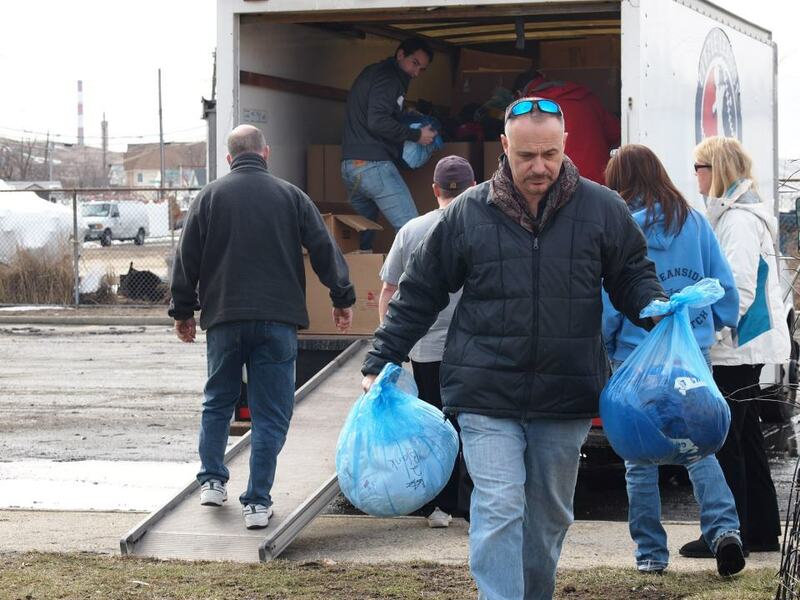 In fact, individuals who hold equipment drives are the backbone of our organization. They are the ones who keep our warehouse stocked, which enables us to say “yes” to underserved communities that ask for our help. 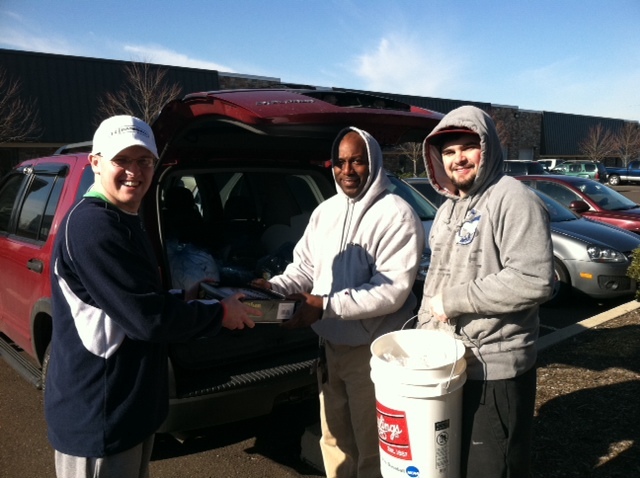 Christian Mackay-Morgan collected baseball uniforms in his hometown of Simsbury, CT. 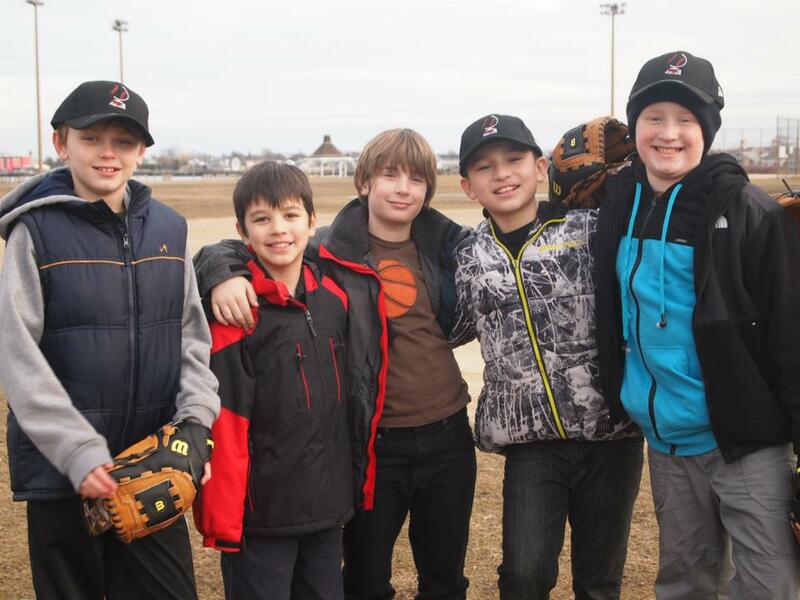 Connecting with a local youth baseball league is a good first step. You could ask to set up collection bins at some of the games (perhaps near a high-traffic area such as the concession stand). Many leagues wrap up their seasons in late June or July, so you could contact the league commissioner to find out if they have any unneeded equipment in good condition that they would be willing to donate. Our #1 need is gloves. Other items we accept include: catcher’s gear, youth bats, batting helmets, baseballs, softballs, soft cover balls (for Tee Ball), rubber baseball cleats, youth uniform pants (sets of 12 or more, white or gray), youth uniform shirts and hats (sets of 12 or more), umpire protective gear, team equipment bags, sets of bases, batting tees, pitching machines. Register your charity drive here so that we can assist you through the process. Download flyers and other materials to promote your equipment collection. If you have further questions after exploring our website, do not hesitate to contact us at jess@pitchinforbaseball.org. When an application comes in, it is always interesting to see where they are applying from. We will get requests from areas as close as Philadelphia and as far away as the other side of the world in the Philippines. Even though every program is different culturally and have different equipment needs, there is one commonality between them. The dedicated individual applying for the equipment. Be it a coach, league president, or volunteer, those who apply for the equipment care about their players. They work tirelessly to make the season happen. 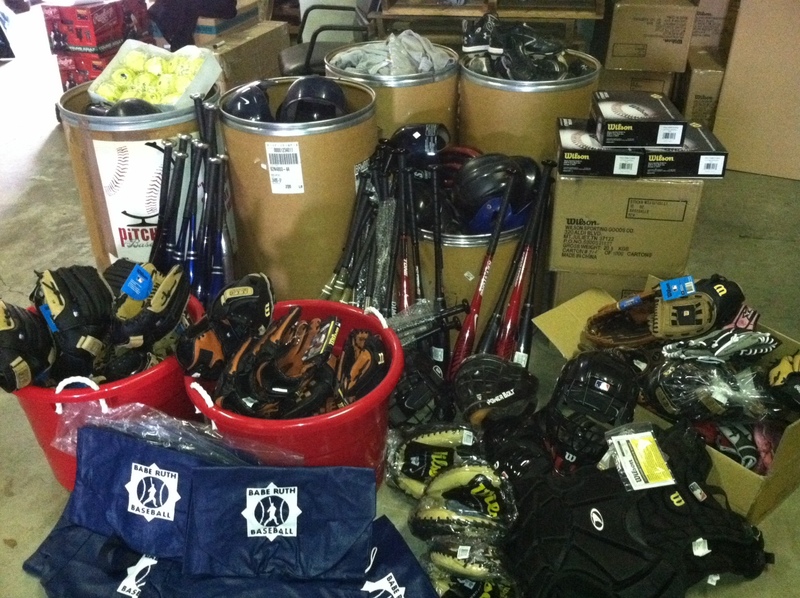 When the hurdle of needing equipment comes up, Pitch In For Baseball is happy to step up with the donation of equipment. In the case of the North Trenton Babe Ruth league, in Trenton, NJ, that hard-working individual is Robert White. A year ago I had a phone conversation with Robert White after he applied for equipment. What I heard on the other side of the phone was a man who had a passion for the kids in his league playing baseball. We were able to help with a variety of equipment his league needed. Over the past year it was encouraging to hear from him the impact the equipment made on his league. In the 2012 their mission of the North Trenton league has not changed. They continue to provide a safe place for children to learn and play baseball. When they applied for equipment this year, I knew that this years donation will again help kids enjoy the game I loved to play growing up. 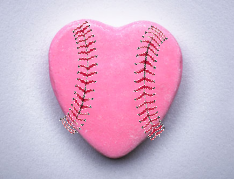 On this Valentine’s Day, I’m reminded of a line from the movie “Moneyball” describing the relationship many have with baseball. Growing up baseball is our first love. Gloves are broken in under pillows. Scorecards are love letters to the players. When your team loses, it’s like you we’re dumped. While dates can come and go, the passion for the sport stays with us. 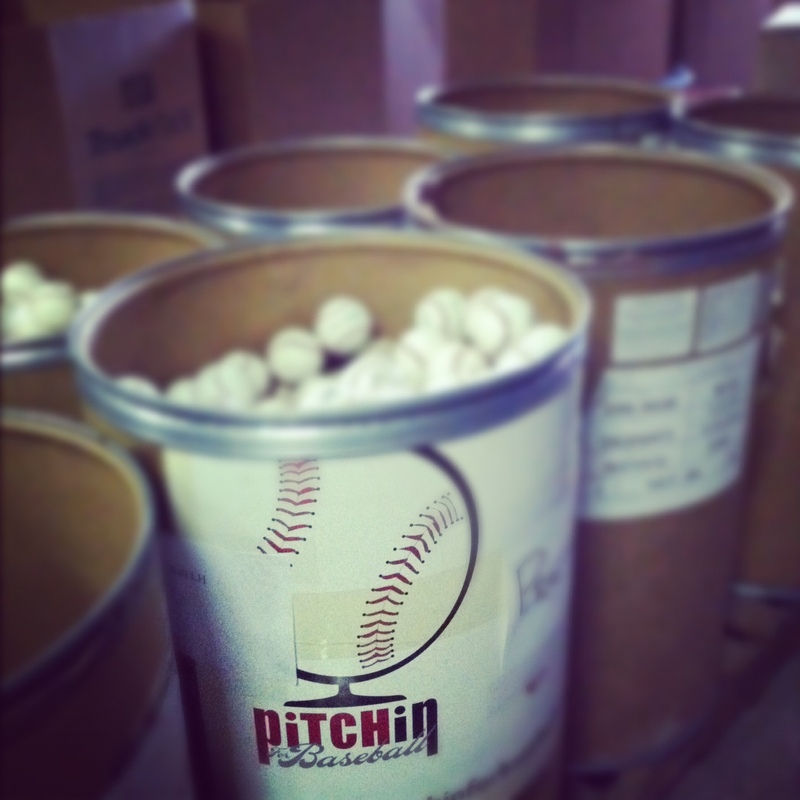 “A glove, a child, a difference” is a perfect summation of our mission at Pitch In For Baseball. I was asked recently if I could remember getting my first glove. Remember? It is a memory I will carry forever. It was Spring Training in 1958 and I was 5 1/2 years old. My dad, Roy Smalley Jr (I am Roy III) was with the Philadelphia Phillies. My dad would take me to the ballpark every morning and I would hang around the dugout watching my heroes go through their workouts. One day the great Hall of Famer-to-be, Robin Roberts came up to me with an old, worn glove of his, handed it to me and said, “Here young man. I’d like you to have this.” I know he meant it to be a souvenir–he even signed it. But for me, it was my glove–one I would use until my dad bought me my first brand new one when I was 10. It was ten years of growth too big for me and was too worn for Robin to use, but it was mine. I took if everywhere, used it in Little League games and had it next to my pillow at night. I am convinced that using that way-to-big-for-me glove helped develop my “hands” as a young shortstop. When I did finally get that brand new Rawlings I couldn’t believe how easy catching a groundball was. I know that very few kids will ever be lucky enough to be given a glove by a major leaguer. I also know that there are far too many kids who will never be given a glove at all. The point of my story is not where the glove comes from. A kid getting a glove is a magical moment. 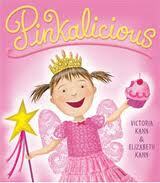 It is a moment of pure joy that will be relived for days and days to come in the child’s life. Thank you for continuing to help us bring those moments to more and more kids. There are so many more magical moments waiting to happen.